If you need to download a video from YouTube don't go for free software's that are full of advertise and bugs some of them even not working. this website will give you an Add-On that you can install on your browser(Firefox, Chrome, Internet Explorer, Opera) and easily and without hassle. just by clicking one button your download will start. This software is free! 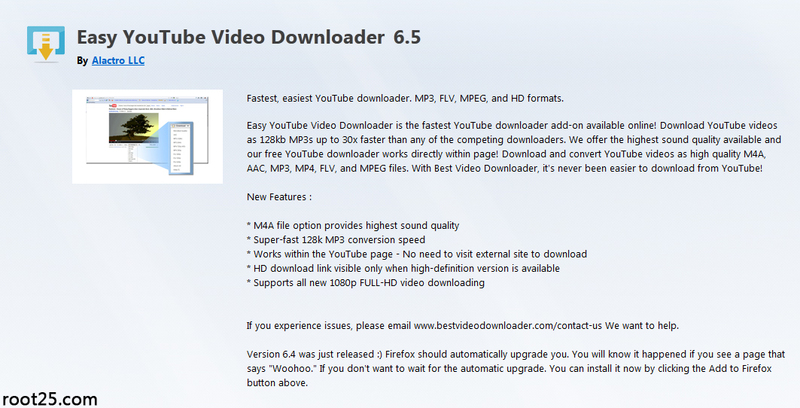 My browser is Firefox and i install "Easy Youtube Video Downloader" from the same site, this Add-On add a DOWNLOAD button under the video. 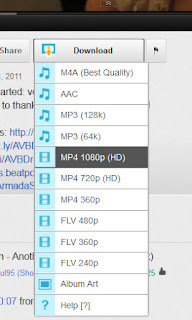 By clicking on download video depends on the quality of original video it will show the available options for download Video or Audio of that video. 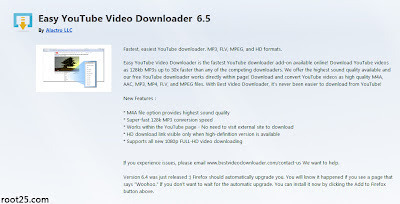 It can download Video in FLV & MP4 formats, Audio in Mp3,AAC and M4A formats. if the source video is in HD quality then you will see the HD option as well.